f you are a passionate Photoshop user, you must be eager to find out new and interesting facts regarding you favorite software. With Adobe Photoshop CS5 released over a year ago, the tension before the new launch is increasing exponentially. Here are two of the most exciting new things that have been announced. Photoshop CS6 is finally here! Well, it is here in a manner of speaking. 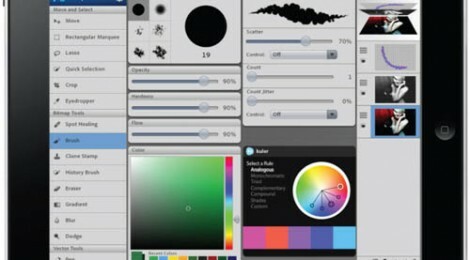 You can now try the beta version of Photoshop CS6 on Adobe Labs. It is available as a free download and gives you a little insight on what is there to come. You are also encouraged to offer feedback after using this beta version of Photoshop CS6 in order for the developers to improve the software and fix any existing bugs. Some of the new features regard the increase in performance and the new creative tools. They aim to give you a greater control over the commands as well as a faster editing time. For example, the Content-Aware Patch will let you select and then control an area of the image with greater precision, while the Content-Aware move will offer you the opportunity to easily move an object to a different place on the image. You will be able to test the tools of both Photoshop CS6 and Photoshop CS6 Extended; the latter will amaze you with its new 3D editing tools and its capabilities to analyze an image. You can now download this beta version free of charge, in either English or Japanese. Also, it will be available for Windows users as well as Mac users. After downloading it, you will be requested to enter an Adobe ID in order to properly use it; this is a onetime request and you will find everything there is to know about it on their official website. Also, your feedback should be posted in the Photoshop CS6 beta forum, in order for everybody to have access to it. You should always make sure that your version of Adobe Photoshop CS5 is up to date, in order for the software to properly work. You should know that you can now download the 12.0 update without any extra fee. It brings lots of new things to your Photoshop CS5 and here are some of them: the complex selection tools will be easier to use, you will have a greater control over the HDR images, there have been added lots of new painting effects, and you will get a better management of the media as well as increased performances. If you are using Adobe Photoshop CS5 for design purposes, there is good news for you as well. You will be able to process your raw images with a state of the art technology, the workflow will be more efficient and you will get the possibility to use the Puppet Warp tool. With this update, you will be able to make sure that you can enjoy using Photoshop CS5 at its fullest. It will give you more tools and increased control over the things that you can customize. There are new, interesting things to discover; so hurry up! Download and install this new update as soon as possible.